ACA Affordability Percentages Increase via Group employer insurance for 2016. On Nov. 21, 2014, the IRS released affordability contribution percentages for 2016. Affordability contribution percentages measure a plan’s affordability and apply to three provisions under the ACA: the employer-shared responsibility penalty, the individual mandate and the premium tax credit. The new affordability percentage for the individual mandate is 8.13 percent for 2016. The affordability percentage for the employer mandate and the premium tax credit eligibility rules is 9.66 percent for 2016. Employers that use an affordability safe harbor under the pay or play rules will continue using a contribution percentage of 9.5 percent. For 2015 plan years, the individual mandate affordability percentage is 8.05 percent, and it is generally 9.56 percent for the employer mandate and premium tax credit eligibility. Also, did you know this? The Affordable Care Act’s (ACA) prohibition on pre-existing condition exclusions (PCEs) for plan years beginning on or after Jan. 1, 2014, makes HIPAA certificates of Creditable Coverage unnecessary. Beginning Dec. 31, 2014, group health plans and issuers are not required to provide HIPAA Certificates for 2015 and following years. Under the Health Insurance Portability and Accountability Act of 1996 (HIPAA), plans and issuers had to provide HIPAA Certificates to individuals when they lost coverage under the plan or upon request for 24 months after coverage was terminated. The HIPAA Certificate allowed individuals to establish prior creditable coverage in order to reduce or eliminate PCEs. Good Neighbor Insurance provides Blue Cross group insurance located here at https://www.gninsurance.com/group-health-insurance/. Call one of our insurance agents at 480-633-9500. Our office is in Gilbert, Arizona. 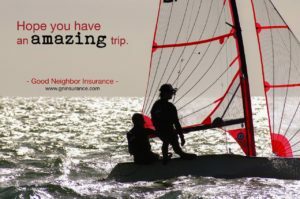 You may also email us at info@gninsurance.com.Good Neighbor Insurance not only provides medical insurance here in Arizona but also travel and expat insurance which you may view here at www.gninsurance.com.